These species originally belong to the regions of North America. 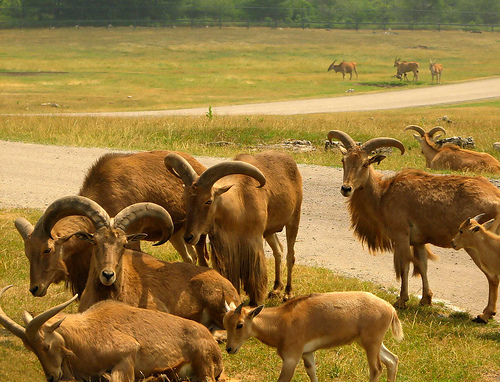 Also identified as aoudad, a name native to the barbers in North Africa, these sheep belong to the family of Bovidae. 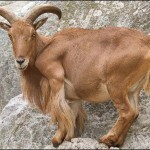 These mammals are very lively by nature and look like wild goats. These species are very famous in America. 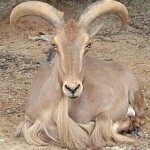 They are often found fighting with the native of North America, the bighorn which is an interesting sight to observe. They have a very strong vision. They share friendly relation with the human beings. The females are known as Ewes while the males are called Ram. These species cling to the North African areas but can also be spotted in areas of Tunisia, Algeria, Egypt, Niger, Libya and Morocco. These can also me found sparingly in Spain. Following the danger to their existence, the density of these species seems to be somewhat increasing through legal fortifications. They are also found spreading in the Central and Northern parts of the Canara Island. 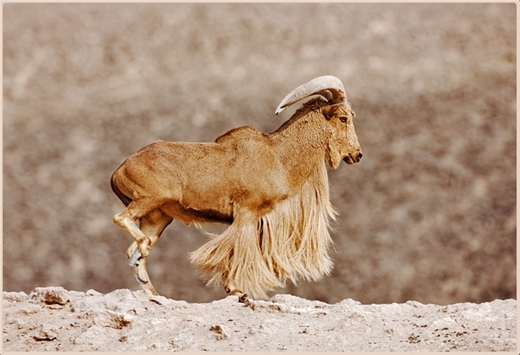 Size of Barbary sheep: At the shoulder these species are 80 – 100 cm long. 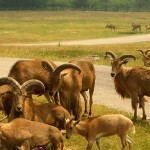 Color of Barbary sheep: The color of these species is sandy brown. The back has a prominent dark line while the upper and outer parts are reddish brown to grayish brown. 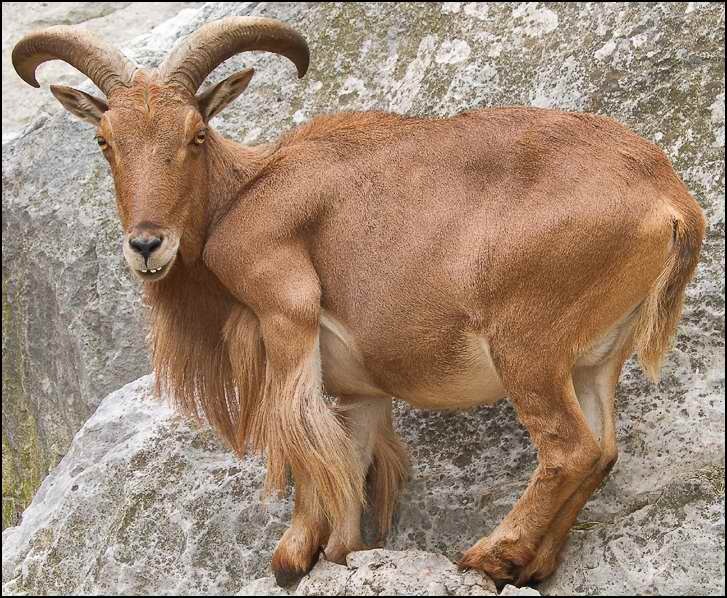 Weight of Barbary sheep: The weight of these species varies from 80 to 100 kgs. 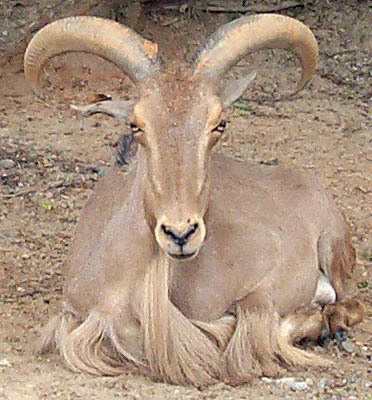 Horns of Barbary sheep: Both males and females have heavy horns. These are semicircular shaped that usually protrude outwards. In case of the males, the horns are very remarkable. Horns are made from keratin that makes them very strong. These species are very lively and always like to jump about and climb places. They dig billows primarily just for entertaining. When in danger, they tend to remain still in hiding. The females appear to be more aggressive as compared to males. These species are herbivorous by nature. Overall items in their food habits contain seventy nine species of plant. It is said that out of these, thirteen are grass, twenty are shrubs and rest are forbes.They like the one leafy food that are ample in water. They also like to have flowers, leaves and fruits. These species like to dwell on the mountain areas where they get enough grasses, bushes and lichens to graze. These species get moisture from the woods and grass. 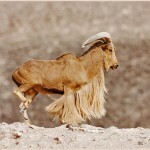 The Barbary sheep do not have a specific mating season but they usually mate in September and continue up to November. These species get sexually matured after 1.5 years. The period of pregnancy lasts for about 160 days. Infact the pregnancy period in case of these species are not so prolonged pertaining to the genus of Ammotragus. It is seen that the females give birth to 1 to 2 offspring. They could also get pregnant while the secretion of the milk goes on. The average life span of the sheep is 20 years. According to the reports of IUCN they are in the category of threatened for extinction. The density is safe only in fortified Southern Algeria in their national parks.